Best known as the mastermind behind his world-wide smash hit One Man Star Wars, Canadian Charles Ross returns to Singapore to retell the most loved epic adventure of all time in a way that only Charles can. In just 3600 seconds of unbelievable energy, Charles will recreate the entire Lord of the Rings trilogy – The Fellowship of the Ring, The Two Towers and Return of the King – from The Shire to the fire and everywhere in between - using nothing more than a pair of elbowpads. No props. No costumes. Just one man, his incredible vocal sound effects and his outrageous imagination. Ross manages to capture every character without props or costumes at lightning speed. Frodo, Sam, Merry, Pippin, Aragorn, Boromir, Gimli, Legolas, the majestic Gandalf and the malicious Gollum are all re-enacted with such hilarious speed it is truly an amazing spectacle to watch. If you’ve already seen the movies, read the books and named your first-born Frodo, Ross’ zany take on Lord Of The Rings is right up your alley and sure to leave a lasting impression. 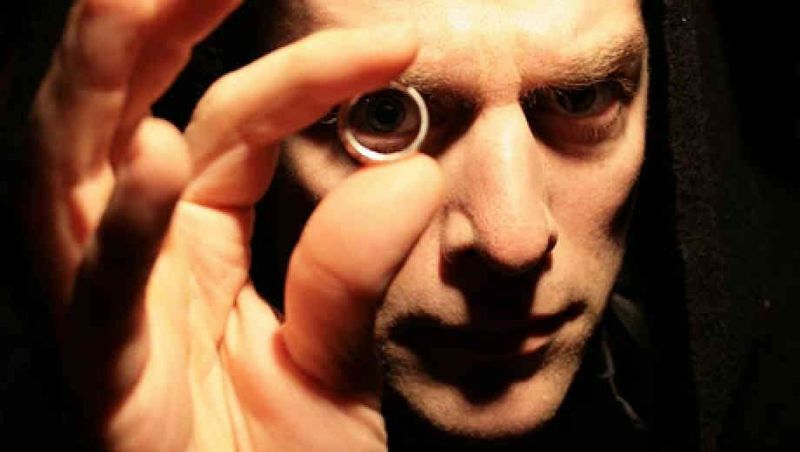 Highly acclaimed across the world, Charles Ross has sold out across Australia, Canada, the UK and US already – now it’s Singapore’s turn to see the phenomenon that is One Man Lord of the Rings.